This 'Thinking Outside the Square' challenge was one of my first quilts ever accepted for exhibition. The Christchurch Symposium displayed this quilt and I seriously felt like a new mother with her baby on display! What a high. 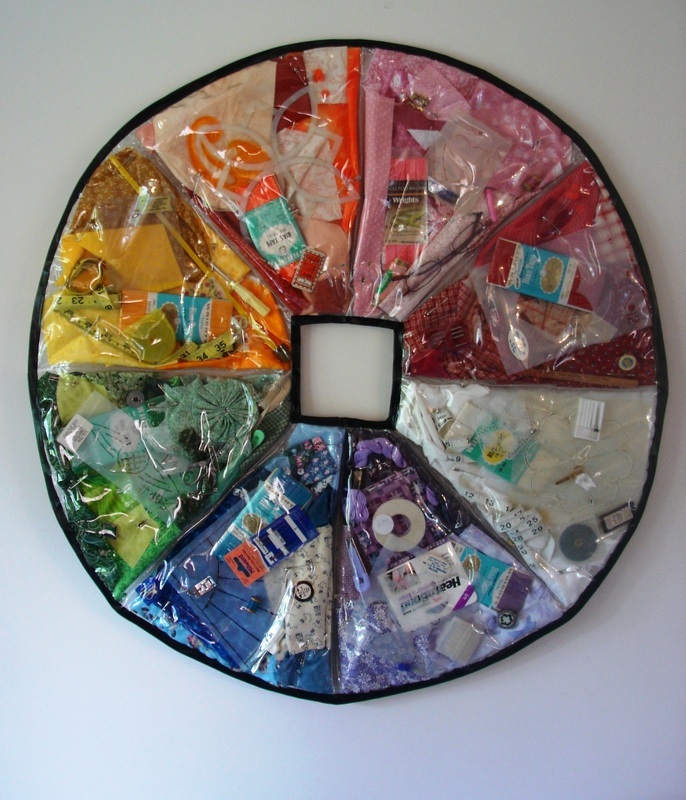 One of my earliest art quilts it was two layers of thick plastic with various sewing materials and implements captured between the layers. Pie shaped wedges were sewn and then safety-pinned together. Black plastic completed the binding.